One of the world’s poorest countries, Malawi faces a host of challenges, not least the status of a health-care system marked by significant shortages of doctors and nurses. Yet many Malawian health-care professionals have emigrated in search of better opportunities abroad, with dramatic effects in the early 2000s on the delivery of health-care services and a strong government response. The global competition for health workers, with resulting migration from low- to high-income countries, has received considerable attention from policymakers in both sending and receiving countries. For a country like Malawi, which is highly reliant on international aid and has a weak health-care infrastructure, the consequences of significant emigration of health-care professionals were striking. Health care is a highly political issue in the country of nearly 17 million people, more than half of whom live in poverty and with gross domestic product (GDP) per capita of US $226.46 in 2013. In the early 2000s, a drastic shortage of workers due largely to emigration severely impacted the delivery of health services, prompting the government to implement policies to reduce the flows and consider the introduction of user fees on health care, which is a cherished service in this impoverished nation. Though the health-care system still faces significant obstacles, the emigration of much-needed health-care workers has mostly stabilized through the implementation of an action plan that increased salaries and training programs for medical professionals. Even as the government has taken steps to address this brain drain, some observers see an opportunity for “brain gain” via new knowledge transfers and remittances transmitted to Malawi by doctors and nurses abroad. This article examines the emigration of health workers from Malawi, the government’s response, the brain drain versus brain gain debate, and recurring challenges to health worker retention. Though Malawi’s first president, Hastings Kamuzu Banda (1966-94), was a medical doctor, the country did not have a medical school of its own until 1991. By the early 2000s, Malawi had few native-born medical personnel, and of those significant numbers chose to emigrate. For example, in 2002, 59 percent of the 493 doctors born and trained in Malawi were working abroad, as were 16 percent of the 2,248 Malawian nurses trained in their home country. The number of nurses working outside the country may have been even higher as some emigrated to pursue careers other than nursing and were thus not recorded as they did not require qualifications validation. Coupled with the low number of graduates from the country’s only medical school, the emigration of health workers led to significant staff shortages. In 2004, Malawi had 1.1 doctors and 25.5 nurses for every 100,000 people—meaning that the entire country had about 250 doctors. In comparison, neighboring Tanzania had 2.3 doctors and 36.6 nurses per 100,000 population in 2004, while in 2006 the regional density in Africa was 22 doctors and 90 nurses per 100,000 population. The Malawi Ministry of Health reported a nearly 80 percent vacancy rate for registered nurses in 2003 and 65 percent in 2006. With such a low density of health workers, the coverage and quality of health services were significantly constrained. This was particularly the case because of an important disparity in the distribution of medical staff within Malawi. Half of Malawi’s doctors worked in cities in 2004, even as more than 80 percent of the population resided in rural areas. A number of push and pull factors motivate Malawi’s health workers to emigrate. The most common destinations for Malawian health-care emigrants include the United Kingdom (Malawi’s former colonial power), the United States, and South Africa. In 2002, 191 Malawian physicians and 171 nurses were working in the United Kingdom, while 40 doctors and 171 nurses were in the United States. Push factors include low remuneration, limited career opportunities, poor working conditions and management, political instability, violence, poverty, and work overload. In 2012, a Malawian doctor earned on average US $7,000 per year, excluding housing—and that is after the government increased salaries by 52 percent in a bid to stem emigration of medical professionals. The risk of HIV infection due to lack of appropriate protection has been another significant push factor. In 2008, the National Association of Nurses in Malawi (NONM) estimated that each month four nurses were lost to HIV and AIDS-related illness. For many Malawians the high demand for English-speaking medical personnel and the much higher wages at destination offered better opportunities to advance their careers and support their families. The two most significant factors leading to the emigration of health workers, according to a study of sub-Saharan migration, were “the real wage gaps between sending and receiving countries, and the demographic booms in the low-wage sending countries.” Moreover, a 2008 study by researchers from Trinity College, Dublin and the University of Malawi suggested that most motivating factors prompting workers to consider leaving Malawi’s health service fell into two broad categories: factors that left staff feeling undervalued and those leading to poor quality patient care. While Malawi has experienced high emigration rates of medical personnel, a significant inflow of international doctors and nurses has also occurred, largely to support the training of local staff or to temporarily fill staffing shortages. A peaceful, relatively inexpensive, and English-speaking country, Malawi has long been an attractive destination for foreign medical students and volunteers. Furthermore, Malawi’s severe poverty makes it dependent on financial aid and humanitarian organizations, particularly in the health sector. The international organization Médecins Sans Frontières (MSF) has been present since 1986, with 586 staff in country in 2014. Partnerships with international academic institutes and health-service organizations have been critical to filling gaps in care provision historically, and as a pillar of the government’s response to health worker emigration. As the cost of emigration of health-care professionals for Malawi and other impoverished countries became clear, international organizations and industrialized countries issued policy statements, codes of practice, and bilateral agreements to ensure the social and economic costs and benefits of migration are more equitably distributed at origin and destination. The topic of human resources for health has since gained significant focus, particularly with the adoption by the World Health Assembly in May 2010 of a Global Code of Practice on the International Recruitment of Health Personnel, supported by all World Health Organization (WHO) Member States. The code frames the responsibilities between governments, recruitment agencies, and labor, seeking to balance the obligations of health workers to the country they were trained in and their right to seek employment abroad. Malawi has proactively sought to tackle human resource and health emigration issues. In 2004, the government launched a six-year Emergency Human Resources Program (EHRP), which was a pillar of the country’s policymaking on the provision of health care. The program aimed to raise staffing levels comparable to Tanzania, at 2.3 doctors per 100,000 inhabitants—less than WHO-recommended minimums but representing an attainable goal. The program, which cost US $95.5 million from 2004 to 2009, attracted major donor funding, notably from the UK Department for International Development (DfID), Norwegian Agency for Development Cooperation (NORAD), and the Global Fund for AIDS, Tuberculosis, and Malaria. The program provided a number of additional incentives, including allowances for medical professionals willing to serve in rural areas, housing, and transport, based on the premise that increased remuneration and benefits would encourage health workers to stay in Malawi. Moreover, Malawi sought to address long-term factors and root causes affecting the retention of workers, such as the unavailability of drugs and supplies, and poor management of and support for the health workforce. Malawi’s College of Medicine also increased the number of graduating doctors from 18 in 2004 to 51 in 2011. Even with the increase in graduates, the government acknowledged it will continue to require the services of international volunteers, particularly in specialty areas of medicine. By 2009, 132 international personnel were recruited through the EHRP to provide clinical services and train local staff, up from 18 in 2004. By 2009, the health worker-to-population density experienced a 66 percent increase as a result of the EHRP, rising from 87 per 100,000 in 2004 to 1,440 per 100,000. However, these levels still fell below the African regional average (1,910 per 100,000) and WHO’s critical threshold (2,500 per 100,000) for delivering essential health services. By the end of the six-year EHRP program in 2009, there was a sharp decline in migration; just 16 nurses emigrated that year, compared to 108 in 2003. Although the government succeeded in reaching its target of achieving staffing levels comparable to neighboring Tanzania, lifting health workers out of poverty, and discouraging some workers from leaving the health profession within Malawi, the challenges to health development remain great and the global competition for health workers represents a continuing threat to health care in Malawi. The remuneration gap for skilled medical staff between Malawi and developed countries remains a significant pull factor. For instance, in the United Kingdom, a newly qualified nurse earns GBP 19,166 (US $33,290), about ten times what a nurse would earn in Malawi. Fewer numbers of health-care personnel are leaving Malawi, but the human resource challenges that remain are “acute and complex,” according to the new strategic plan. Even with increases in the intake of nursing students and introduction of new courses, it will take many years to reach the number of staff needed to provide minimum standards of health-care delivery. In May, the Executive Director of Malawi Health Equity Network (Mhen), Martha Kwataine, warned that the nurse-to-patient ratio was putting patients at risk. She reported that there has been an increase in the number of nurses from 4,500 in 2010 to about 10,000 in 2015. While the nursing increases have resulted in a drop from the 76 percent vacancy rate, the health-care sector still has a 60 percent vacancy rate in nursing. The deterioration of previously strong pull factors also may be deterring departures. For example, in June 2015, the United Kingdom announced the thresholds for recruiting skilled workers from outside Europe would be raised starting in fall 2015. The Oxford Migration Observatory warned that overseas nurses are likely to be one of the first groups affected. In 2014, 454 Malawians were employed by the National Health Service (NHS) in the United Kingdom, including 138 professionally qualified clinical staff. Although this move could deter Malawian nurses from migrating to the United Kingdom, they may simply choose to travel to another country. Even as Malawians continue to leave, albeit in smaller numbers, international personnel are arriving through aid and development programs. While there was no formal exit strategy in the EHRP to end recruitment of international doctors, the government sought to phase out UN-sponsored personnel as the College of Medicine began producing more graduates. The recurring challenges to retention and poor infrastructure continue to justify the need for foreign doctors. Earlier this year, the U.S. embassy in Lilongwe welcomed 11 Global Health Service Volunteers to teach and provide clinical supervision for the year, while Rotary International has sponsored 30 doctors from India to attend to patients at Kamuzu Central Hospital. International practitioners on temporary deployments, however, cannot alone solve the high vacancies in the medical sector. The trend of health-care labor emigration from low- to high-income countries has sparked an ongoing debate on the impact on the sending country’s development. Addressing the negative impacts of such emigration has been on the WHO agenda since 2004, with a code of practice for ethical standards in international recruitment of health workers adopted in 2010. One area where health-care migration can have a positive effect on a country’s development is through the generation of remittances. Although the evidence for Malawi is limited, studies from other poor countries demonstrate the power of remittances in significantly reducing poverty, according to a 2006 study by experts Richard Record and Abdu Mohiddin. For instance, the World Bank estimated the 2014 total remittance flow to developing countries to be $436 billion, a sum three times that of official development aid (ODA) to developing countries. Malawi, however, demonstrates the opposite, receiving approximately $144 million in remittances through official channels from 2004 to 2011, according to Migration Policy Institute tabulations of World Bank data, while receiving $5.3 billion aid dollars over the same period. Still, seeing potential in the flows of health workers, Record and Mohiddin argued Malawi could achieve brain gain provided the government finds a solution to avoid paying for the training of health professionals who then take their skills abroad. Possible mechanisms include requiring migrating staff who do not work in the country’s health system for a certain number of years to reimburse training costs, or encouraging host governments to remit a new tax to the Malawi government, which would allow the country to train more health workers for both local and international needs. On the other hand, brain gain is also considered out of reach for Malawi by some because the advantages of skills transfers are lost. There is little evidence that Malawian health professionals working abroad for several years return home to share the skills and knowledge acquired internationally. Moreover, the cost to poor countries of emigration is often seen as exacerbating already weak national health systems, challenging achievement of the United Nations Millennium Development Goals. The shortage of health workers has contributed to high maternal mortality in Malawi and, because of the high level of vacancies, especially in rural areas, most clinical care is performed by nurses, not by doctors. In recent years, many stakeholders have recognized the importance of human resources in the provision of health care, in efforts to improve health outcomes, and to achieve development. Indeed, following work by WHO on the importance of health to improve human development, international attention has shifted focus to strengthening human resources. The key to improving of Malawi’s health indicators thus lies in addressing emigration as one of the main factors contributing to critical human resource shortages. 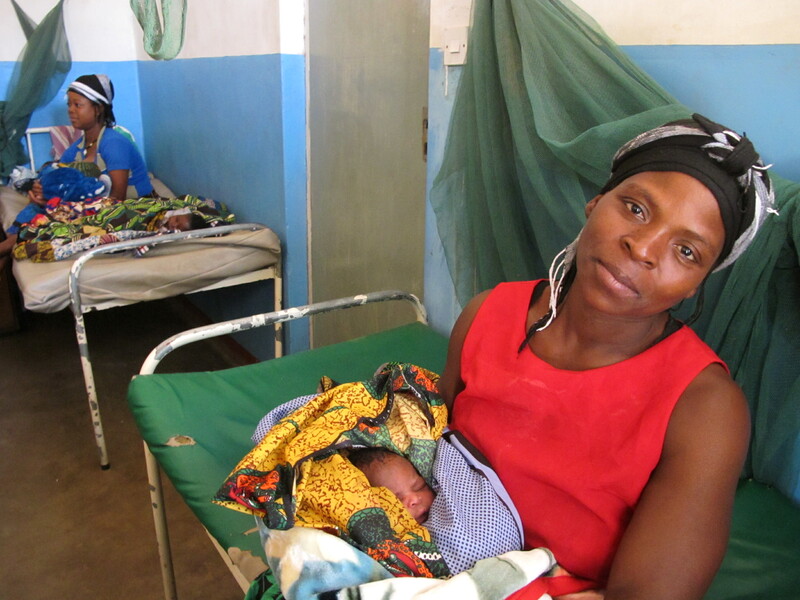 Malawi’s health sector continues to face enormous challenges beyond emigration. Doctors and other hospital staff are often accused of stealing medicines because salaries, despite the 52 percent increase, remain insufficient. Wages are also often withheld for up to a month or more as funds are unavailable to pay medical staff at public hospitals and clinics, or depleted due to corruption. And as the country increases the number of health clinics and hospitals as part of the 2011-16 strategic plan, more staff will be required, thereby doing little to dent the high vacancy rate. Retention of health workers remains a problem, not just from emigration, but from personnel leaving the public sector to work elsewhere in Malawi as the day-to-day challenges in health care become too great. Malawi has a long, but not insurmountable, road ahead. As the successes of the earlier Emergency Human Resources Program show, if the government effectively implements the current strategic plan, Malawi may yet reach its health-sector goals. Research for this article was supported in part by the Open Society Internship for Rights and Governance, which is funded and administered by the Open Society Institute (OSI). The views are the author’s own. African Health Observatory (AHO). N.d. Comprehensive Analytical Profile: Malawi. Accessed April 6, 2015. Available Online. Bailey, Nicola, Kate L. Mandeville, Tim Rhodes, Mwapatsa Mipando, and Adamson S. Muula. 2012. Postgraduate career intentions of medical students and recent graduates in Malawi: A qualitative interview study. BMC Medical Education 12 (87). Available Online. Campbell, Denis, Haroon Siddique, Ashley Kirk, and James Meikle. 2015. NHS hires up to 3,000 foreign-trained doctors in a year to plug staff shortage. The Guardian, August 31, 2015. Available Online. Chalabi, Mona. 2014. DataBlog: Who works for the NHS? Compare nationalities. The Guardian, January 27, 2014. Available Online. Chauwa, Alfred. 2015. 30 Indian doctors in Malawi to work at Kamuzu Central Hospital. Nyasa Times, September 9, 2015. Available Online. ---. 2015. Malawi govt backtracks on hospital user fees. Nyasa Times, April 6, 2015. Available Online. Chimwaza, Wanangwa, Effie Chipeta, Andrew Ngwira, Francis Kamwendo, Frank Taulo, Susan Bradley, and Eilish McAuliffe. 2014. What Makes Staff Consider Leaving the Health Service in Malawi? Human Resources for Health 12 (17). Cometto, Giorgio, Kate Tulenko, Adamson S. Muula, and Ruediger Krech.2013. Health Workforce Brain Drain: From Denouncing the Challenge to Solving the Problem. PLoS Med 10 (9). De, Rajlakshmi and Charles Becker. 2015. The Foreign Aid Effectiveness Debate: Evidence from Malawi. Working Paper 6, AidData, Washington, DC, March 2015. Available Online. Embassy of the United States, Lilongwe, Malawi. N.d. U.S. Ambassador Swears in Global Health Services (GHSP) Volunteers. Press release, n.d. Available Online. Hamilton, Kimberly and Jennifer Yau. 2004. The Global Tug-of-War for Health Care Workers. Migration Information Source, December 1, 2004. Available Online. Jensen, Nele. 2013. The Health Worker Crisis: An Analysis of the Issues and Main International Responses. London: Health Poverty Action. Available Online. Kirigia Joses Muthuri, Akpa Raphael Gbary, Lenity Kainyu Muthuri, Jennifer Nyoni J, and Anthony Seddoh. 2006. The Cost of Health Professionals’ Brain Drain in Kenya. BMC Health Services Research 6: 89-99. Kissick, Kasey. 2011. The “Brain Drain:” Migration of Healthcare Workers out of sub-Saharan Africa. Factsheet, Stanford University, School of Medicine, School Health Evaluation and Research, 2011. Available Online. Manafa, Ogenna, Eilish McAuliffe, Fresier Maseko, Cameron Bowie, Malcolm MacLachlan, and Charles Normand. 2009. Retention of Health Workers in Malawi: Perspectives of Health Workers and District Management. Human Resources for Health 7 (1): 65-74. Management Sciences for Health (MSH). 2010. Evaluation of Malawi’s Emergency Human Resources Programme, EHRP Final Report. Cambridge, MA: United Kingdom Department for International Development (DFID) and MSH. Mangham, Lindsay J. and Kara Hanson. 2008. Employment Preferences of Public Sector Nurses in Malawi: Results from a Discrete Choice Experiment. Tropical Medicine & International Health 13 (12): 1433-41. McCoy, David, Barbara McPake, and Victor Mwapasa. 2008. The Double Burden of Human Resource and HIV Crises: A Case Study of Malawi'. Human Resources for Health 6 (1): 16. Migration Policy Institute. 2013. Remittance Trends over Time. Available Online. Mills, Edward J., Steve Kanters, Amy Hagopian, Nick Bansback, Jean Nachega, Mark Alberton, Christopher G. Au-Yeung, Andy Mtambo, Ivy L Bourgeault, Samuel Luboga, Robert S. Hogg, and Nathan Ford. 2011. The Financial Cost of Doctors Emigrating from Sub-Saharan Africa: Human Capital Analysis. British Medical Journal, November 24, 2011. Available Online. Ministry of Health, Malawi (MoH). 2011. Malawi Health Sector Strategic Plan 2011-2016. Lilongwe: MoH. Available Online. Muula, Adamson S. 2008. Shortage Of Health Workers in the Malawian Public Health Services System: How do Parliamentarians Perceive the Problem? African Journal of Health Sciences 13 (1). ---. 2009. Successes and Challenges of Malawi’s Only Medical School. Croatian Medical Journal 50 (2): 189-91. Nyasa Times. 2015. Malawi hospitals dangerously understaffed. Nyasa Times, May 31, 2015. Available Online. O’Neil, Mary. 2011. Stemming the Tide of African Health Worker Migration. Global Health Impact Blog, December 14, 2011. Available Online. Organization for Economic Cooperation and Development (OECD). 2010. Policy Brief: International Migration of Health Workers. Paris: OECD. Available Online. Pagett, Catherine and Ashnie Padarath. A Review of Codes and Protocols for the Migration of Health Workers. EQUINET Discussion Paper 50, Regional Network for Equity in Health in East and Southern Africa, Harare, September 2007. Available Online. Palmer, Debbie. 2006. Tackling Malawi's Human Resources Crisis. Reproductive Health Matters 14 (27): 27-39. Record, Richard and Abdu Mohiddin. 2006. An economic perspective on Malawi’s medical “brain drain.” Globalization and Health 2 (12). Soucat, Agnes, Richard Scheffler, with Tedros Adhanom Ghebreyesus, eds. 2013. The Labor Market for Health Workers in Africa: A New Look at the Crisis. Washington DC: World Bank. Available Online. Travis, Alan. 2015. Nurses to be among first affected by plan to cut skilled migration. The Guardian, June 10, 2015. Available Online. World Bank. N.d. Malawi: Data. Accessed April 9 2015. Available Online. World Health Organization. 2010. WHA63.16 WHO Global Code of Practice on the International Recruitment of Health Personnel. May 2010. Available Online. Pauline Vidal is pursuing a double master’s program at the Paris School of International Affairs and the London School of Economics, focusing on migration policy and European affairs. She was an Open Society Foundation grantee at the Migration Policy Institute and previously interned with the United Nations Population Fund in Tunisia and Amnesty International Malaysia.